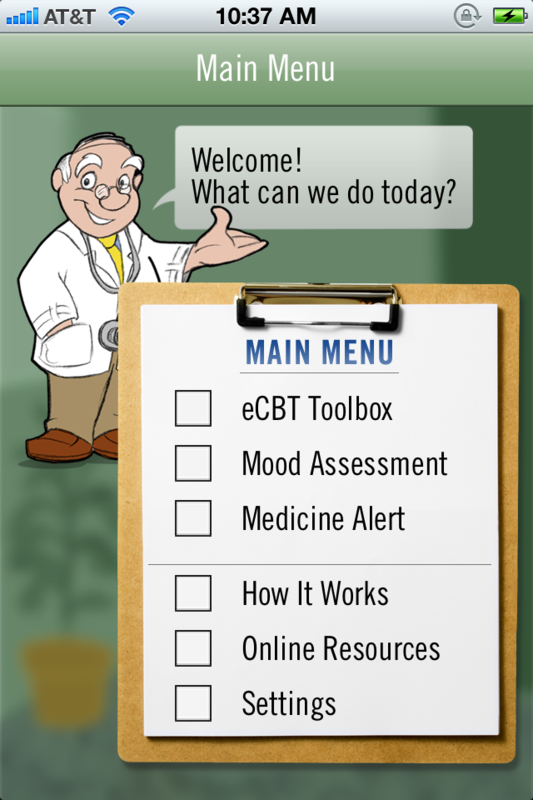 Electronic CBT (eCBT©) has been used both as an adjunct to traditional psychotherapy (involving a therapist and patient), as well as a stand-alone intervention to help people address their problems. eCBT is not replacement for traditional psychotherapy, or for antidepressant or other medications used to treat depression. Instead, eCBT aims to help people learn how to first identify and then to challenge the distorted thinking that fuels depression. By challenging distorted thinking, it is possible to improve mood, and break the downward spiral of negative thoughts, feelings, and behaviors. By systematically tracking daily and weekly depression severity, it is possible to track progress over time, and also share those results with loved ones or professional caregivers. At the foundation of CBT is a simple idea – the things that we think influence our moods and our behaviors. In depression, thinking becomes distorted and dysfunctional, leading to a downward spiral of painful feelings and behaviors. The feelings and behaviors that grow from these distorted thoughts serve to sustain and deepen depression. This painful web of thoughts, feelings, and behaviors is what CBT seeks to help untangle. CBT's history goes back more than 40 years, to pioneering work done by Dr. Aaron T. Beck and others who developed an empirically-based, short-term, structured psychotherapy for depression. Since that time, it has continually evolved, been refined and expanded by a generation of Clinical Psychologists and other professionals. Today, CBT represents a robust, scientifically proven system of psychotherapy that can be effective in helping people deal with a variety of problems, from depression and anxiety disorders, to coping with chronic pain and substance abuse. 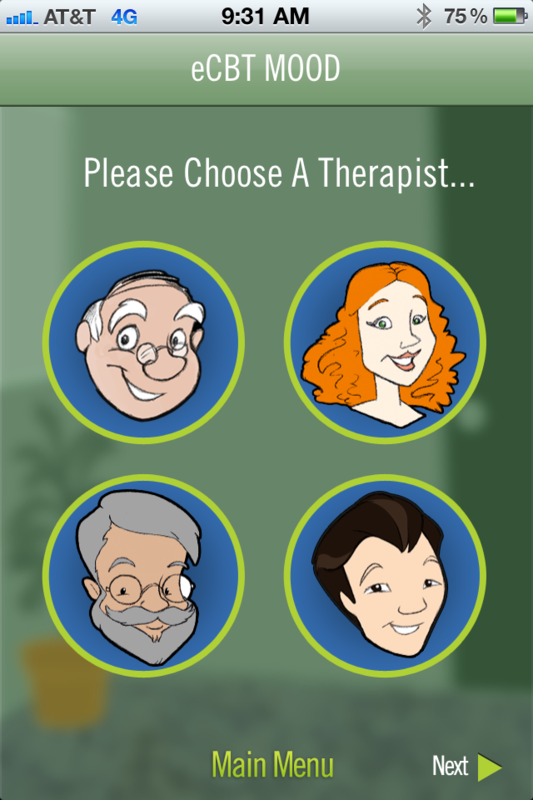 MindApps LLC helps people to help themselves using electronic Cognitive Behavioral Therapy (eCBT), an empirically-validated system of psychotherapy that is effective in helping people deal with a wide variety of problems. Protecting our users' privacy is of the utmost importance to MindApps. MindApps does not collect or store any information from or about the user or use of our eCBT applications from the device. The information that you enter into the eCBT application is only stored on your device and can only be accessed by the MindApps application on your device. 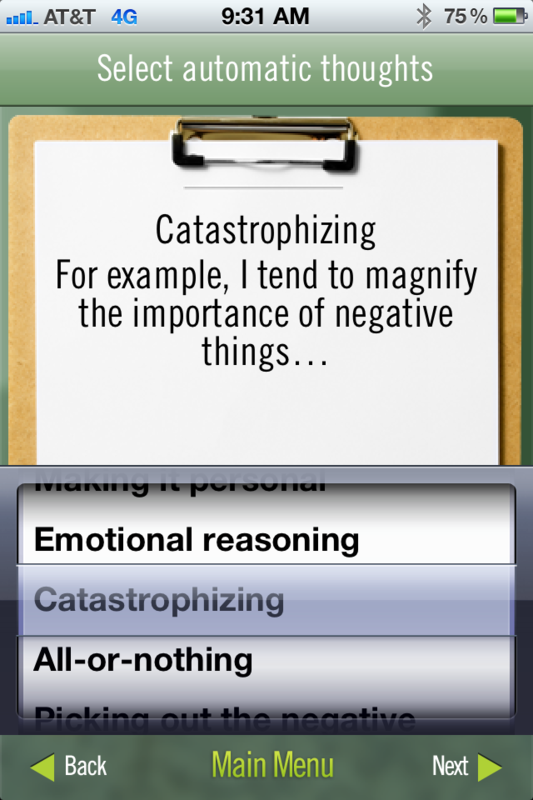 Fixed issues that interacted with iOS 6.0 to produce crashes in our last version of eCBT Mood. Thanks for your patience as we developed and launched the fix.